When you’re using a rowing machine, proper form is essential to getting a safe, effective workout. If you’ve never used an indoor rower, you may make mistakes with your form that will make your workout less effective. In some situations, improper form can also lead to painful muscles or injuries, so it’s important to take the time to learn how to row properly. Before you begin rowing, make sure you’re using proper rowing machine posture. Your knees should be slightly bent and you should grasp the handlebars firmly in your hands with your wrists in a straight line with your hands. Most rowers start with their hands facing down, but you can alternate this for more comfort by taking a break at some point and using a hands face up position. Remember to keep the wrists straight in either position. One of the most important considerations of proper rowing machine posture is keeping your back straight. If you hunch over or arch your back during any part of your stroke, it will lead to back strain and sore muscles. Keep in mind that you should be pushing with your legs to move backward, not pulling with your arms or back. You should only begin pulling when your legs are nearly straight. At this point in your stroke, you may be leaning forward slightly until you pull back, but your back should still be straight. At the completion of your stroke, you’ll slide forward again until your legs are bent and you can once again push back with your legs. Ideally, your rowing machine proper form will enable you to repeat your strokes in a smooth, fluid movement with a resting phase at the end of each stroke. If you’re having trouble with this, consider asking an experienced rower or a fitness trainer to evaluate you while you’re on your indoor rower. Proper form is easy for experienced individuals to spot; if yours isn’t correct, they can guide you by demonstrating or correcting your posture or hand position. If you feel a pulling sensation in your back or feel like most of the resistance is being “carried” by your arms, you need to correct your position and put the focus back on pushing off with your legs. At the end of each stroke, when your legs are nearly parallel with the ground, avoid “locking” your knees. You don’t want to do this, as it will interrupt your stroke and can cause knee injuries. It’s better to be able to row with some speed at a steady pace than to increase your resistance too rapidly. Don’t increase your resistance until you’re confident that you’re using good rowing machine proper form and that you can maintain it naturally at a higher level of resistance. If you’re still having problems or want to double-check your form, check out Youtube for more videos. 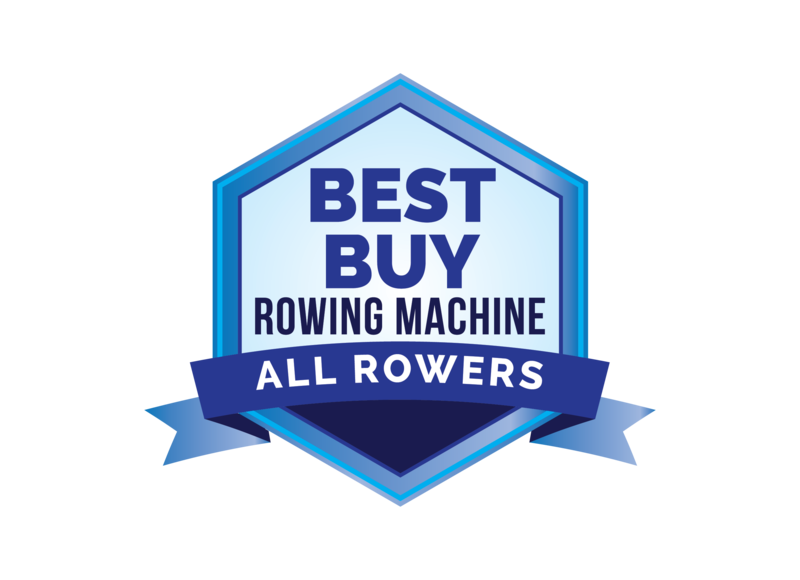 There are many clips you can watch that demonstrate the proper way to use your rowing machine. Proper form can mean the difference between loving or hating your indoor rower!